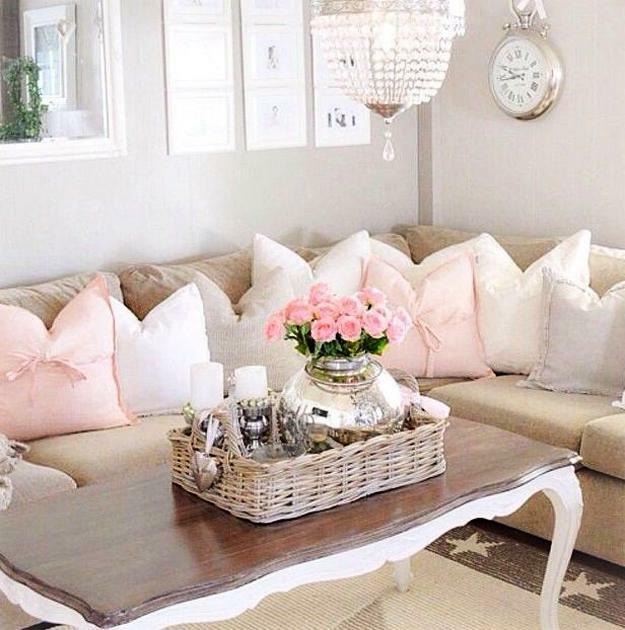 Light pastel colors and creative interior decorating ideas, combined with elegant white decorating can turn ordinary rooms into comfortable, unique and modern shabby chic interiors. 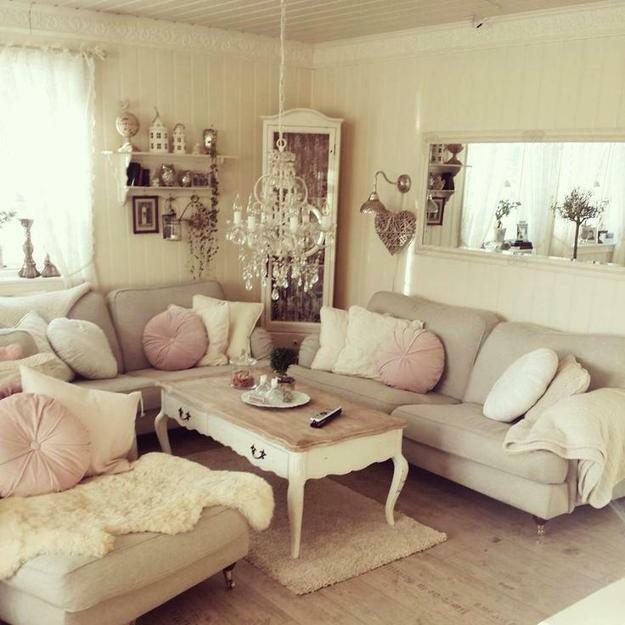 Decor4all shares beautiful shabby chic ideas and inspirations for interior decorating. 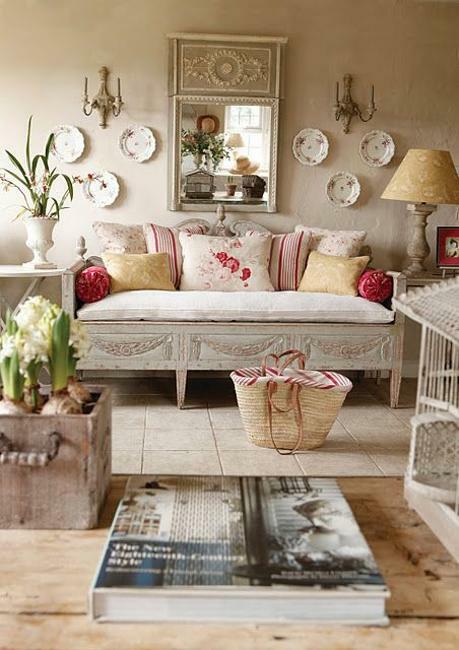 Shabby chic ideas bring the charm of unique vintage style and turn modern homes into relaxing and pleasant country cottages. 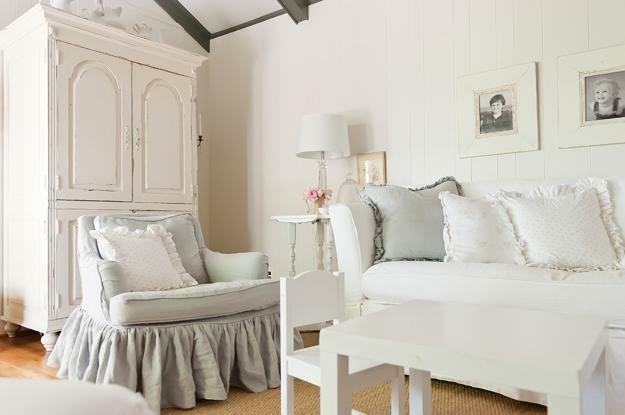 Light pastel colors, creative decorations, vintage furniture and lighting fixtures in soft white colors add character to adorable shabby chic interiors. 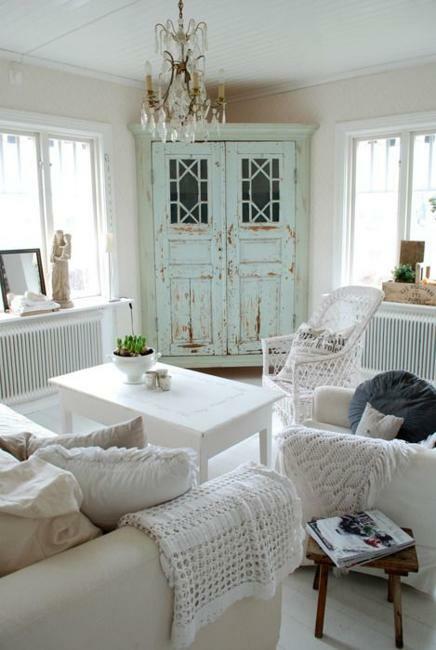 Solid wood furniture is ideal for shabby chic decorating. 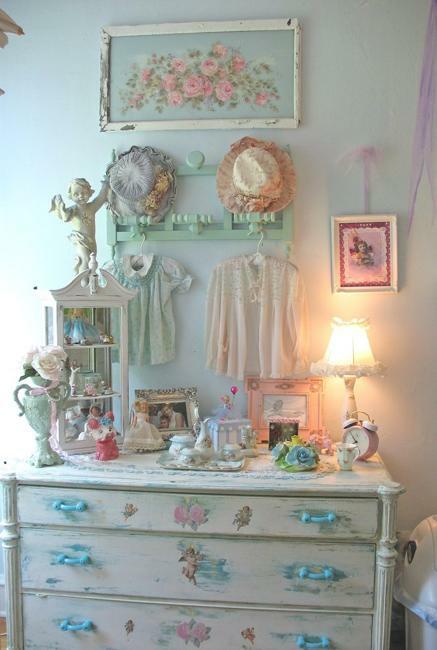 Painted wood furniture in light blue, pink, turquoise blue, pale gray or brown, lavender purple and creamy white colors compliment white decorating and accentuate shabby chic ideas very nicely. 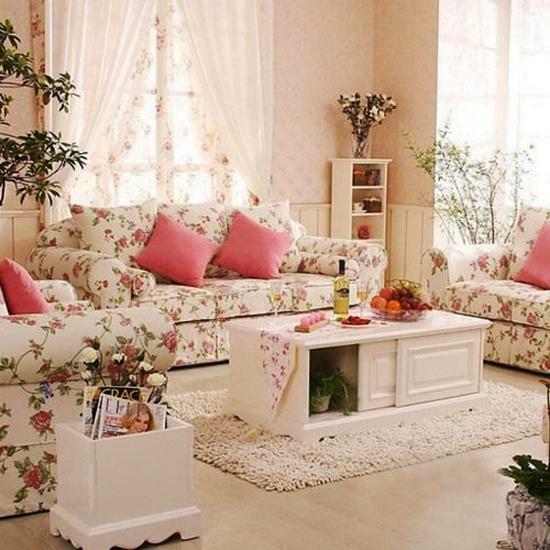 Simple DIY or vintage furniture, antiques and retro modern furniture pieces, painted white or light pastel colors, can be used for creating beautiful shabby chic decorating. 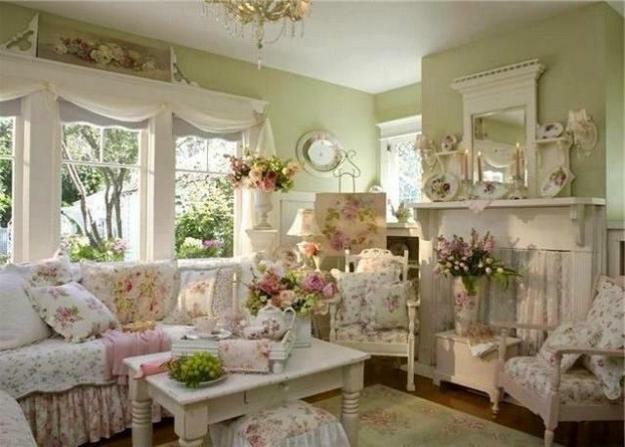 White decorating and soft pastels are main room colors for shabby chic decorating. 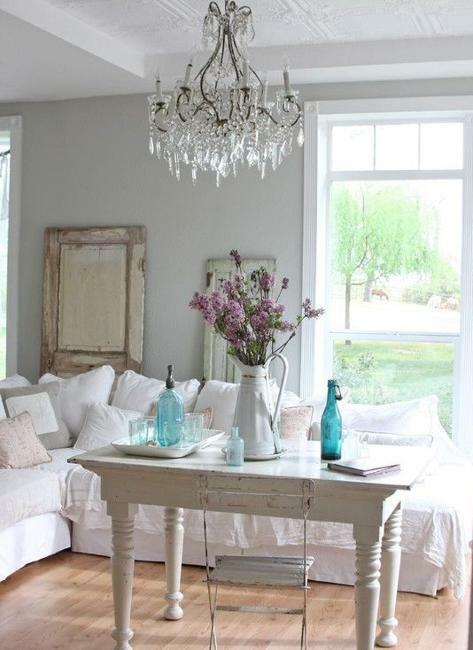 Gray color tones and all shades of light and dark brown colors look amazing with shabby chic ideas. 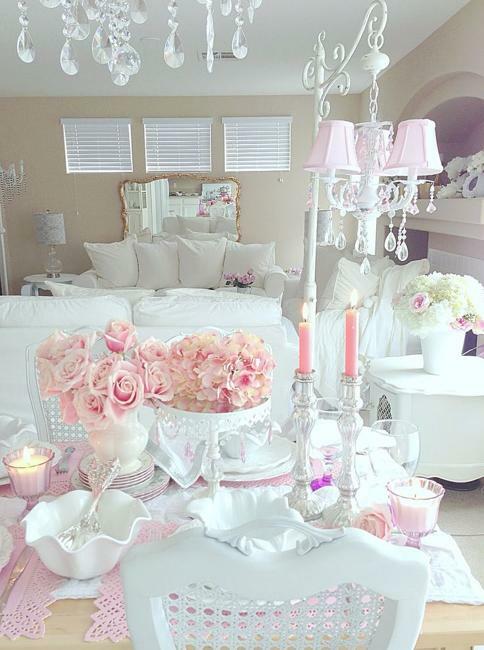 Using pastel colors in conjunction with white decorating ideas and all off-whites is very common in shabby chic interiors. 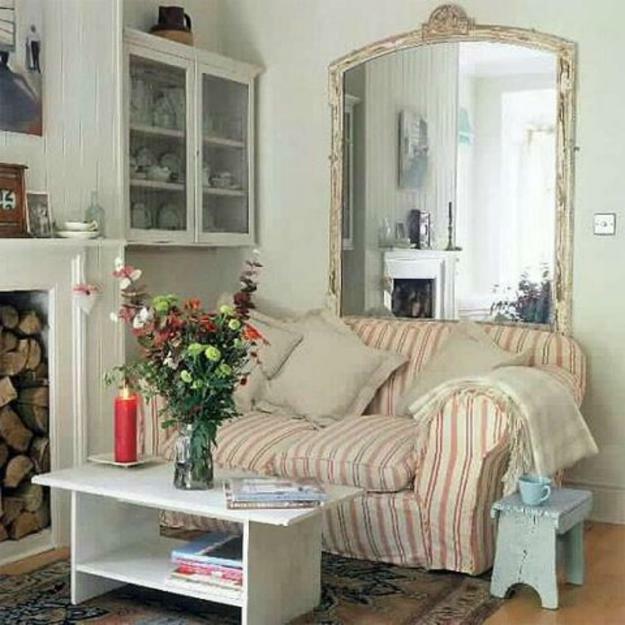 Painted walls, wallpaper patterns and painted wood furniture are a great way to bring out that country cottage home feel into modern shabby chic interiors. 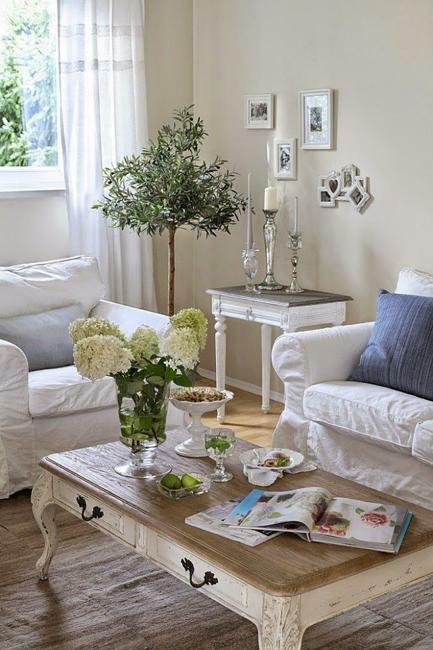 Natural wood or ceramic tile are great flooring ideas. 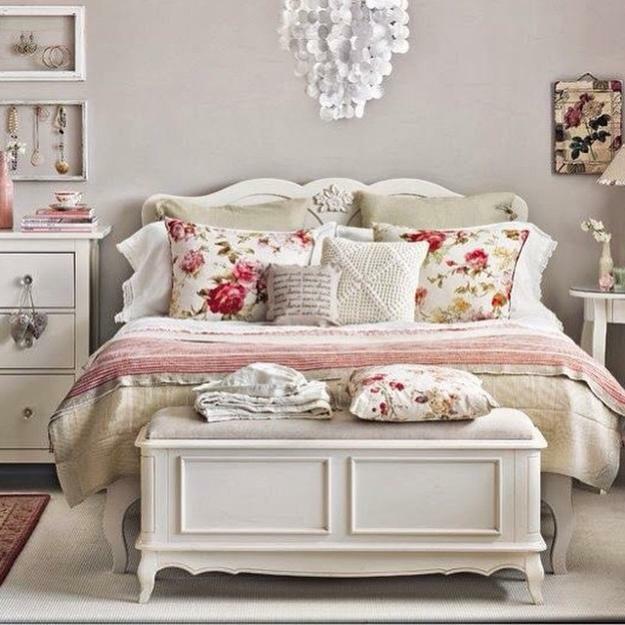 Painted patterns can enhance floor decoration and add unique character to shabby chic ideas. 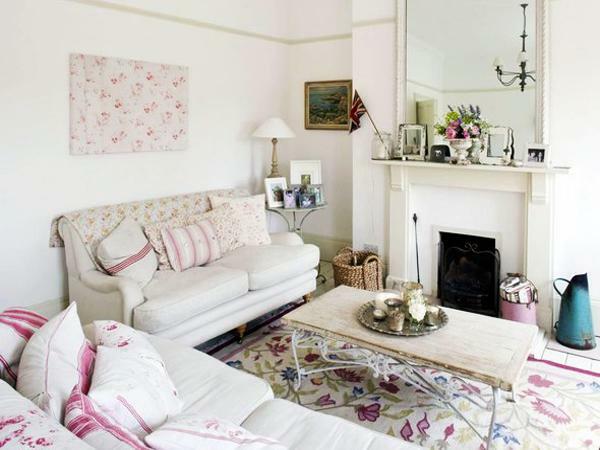 Chevrons, diamond, striped or checkered designs in pastel colors work very well for shabby chic interiors. 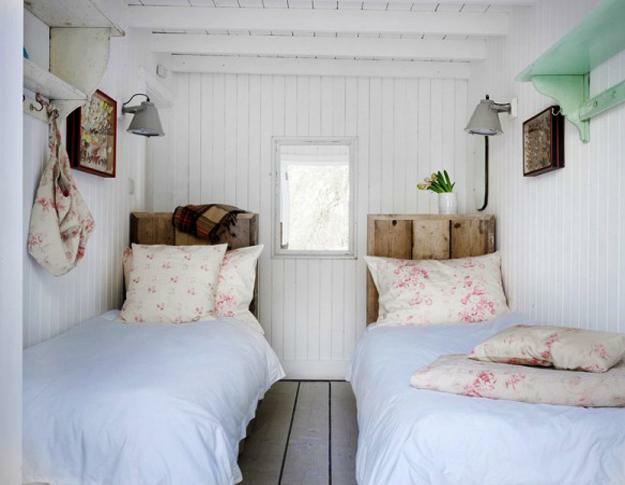 Shabby chic decorating calls for white home fabrics and floral patterns, stripes, and checks. 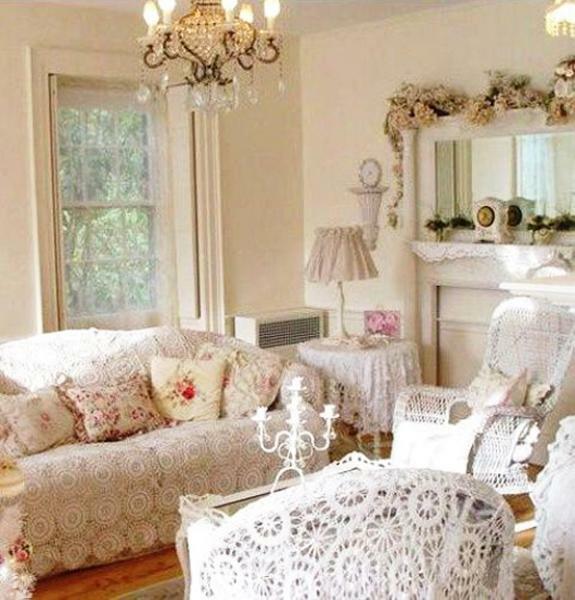 Using these decorative fabrics creates the distinct look of charming and unique shabby chic ideas. 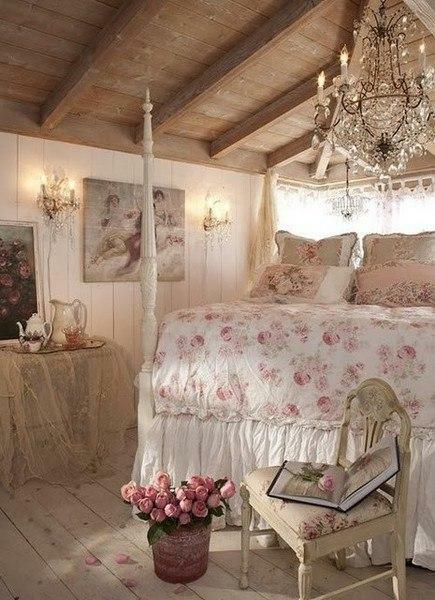 Creativity is the most important element of designing original and interesting shabby chic interiors. 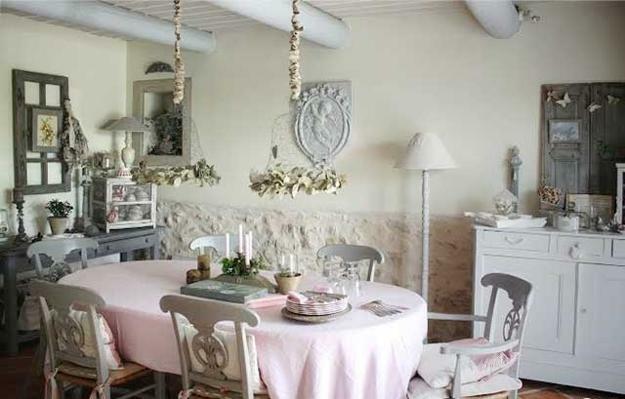 Mixing and matching shabby chic furniture and decor accessories, experimenting with decorative fabrics and pastel colors adds originality and character to white decorating, turning rooms into beautiful, interesting and unique shabby chic interiors.